In east downtown Houston, you’ll find the nation’s first high school devoted to preparing students to enter careers in the energy field. 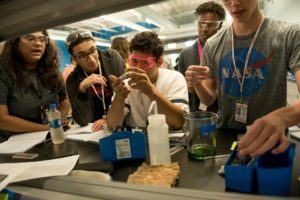 Energy Institute High School is a STEM focused magnet program with project-based learning at its core. The school began with an acknowledgment of local businesses and the demand for students to enter the ever growing energy industry in the Houston area. It has since become a place of learning where “students are exposed to engineering and technology typically reserved for college-level courses, and they also receive instruction from teachers as well as industry professionals.” Daily students are having HQPBL experiences and growing their real-world industry savvy. Adaptability with regard to learning spaces, as these can be negotiated to make projects come together. 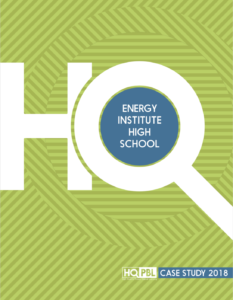 We learn from Energy Institute how schools can partner together with industries to provide HQPBL experiences which prepare students to succeed in their next phase of life.